Good morning everyone. Hope everyone had a great weekend. This morning I want to share with you a Mug Rug I made for Pam. She is a cat lover as I am. 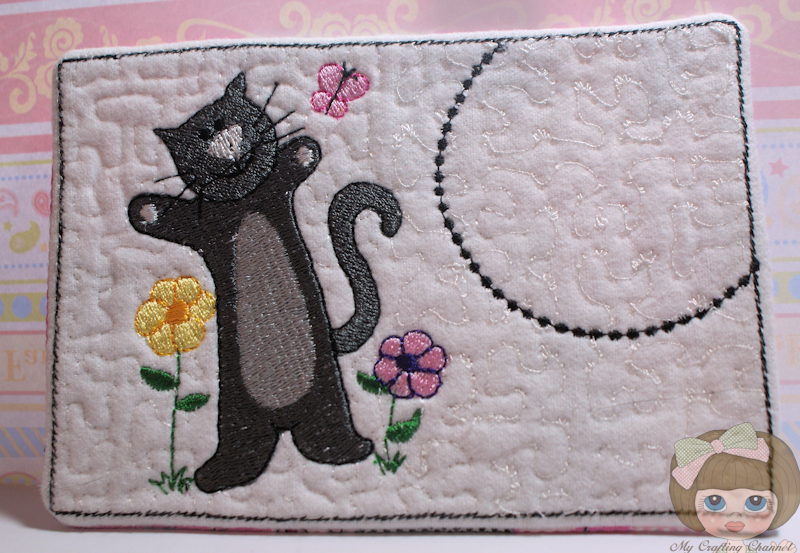 It has been a lot of fun pulling out the embroidery machines and playing with them again. I think she will like it, do you? I just LOVE this adorable kitty cat mug rug!!!!! Oh my goodness how cute is this? This is so much fun and such a great idea - love it!